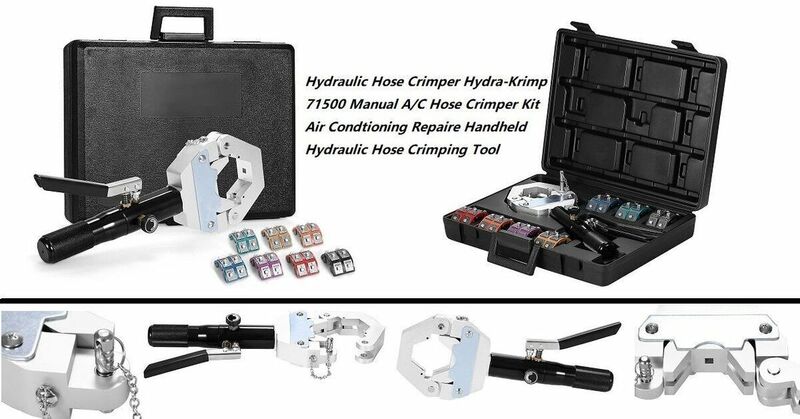 HYDRAULIC HOSE CRIMPING TOOL. LIGHTWEIGHT PORTABLE HAND-HELD PRESS IS IDEAL FOR SHOP AND FIELD APPLICATIONS . KIT COMES COMPLETE WITH DIES COVERING HOSE SIZES 6,8,10,12 AND REDUCED BARRIER HOSE 6,8,10 AND 12. THE DIES SNAP QUICKLY INTO THE PRESS FIXTURE AND REQUIRE NO PINS OR SCREWS. Manual Hydraulic AC hose crimping tool,AC hose crimper,#6,#8,#10,#12: Hebei Ala Technology Co., Ltd.